3DPHONE: European FP7 project, 2008-2011. 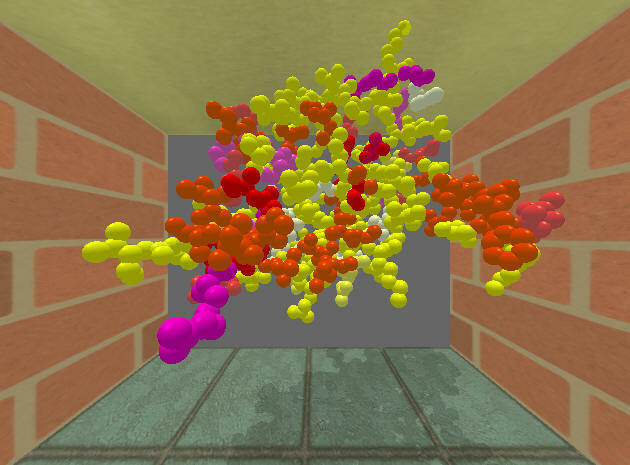 Perceptually-Based Graphics: TUBITAK project, 2010-2013. Data-Driven Virtual Human Animation: TUBITAK project, 2012-2015. 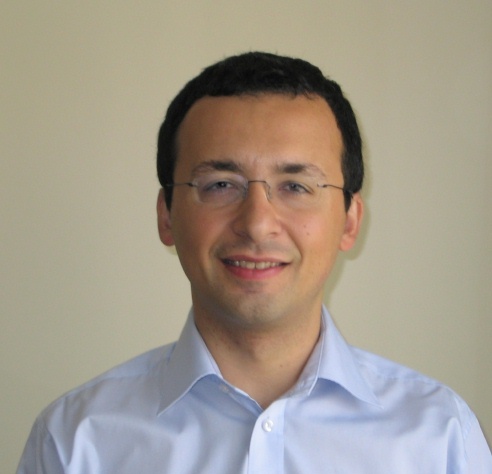 Zeynep Cipiloglu, Abdullah Bulbul, Tolga Capin, A Framework for Applying the Principles of Depth Perception to Information Visualization, ACM Transactions on Applied Perception (to appear). Ufuk Celikcan, Gokcen Cimen, E. Bengu Kevinc, Tolga Capin, Attention-Aware Disparity Control in Interactive Environments, The Visual Computer, Springer (in press). 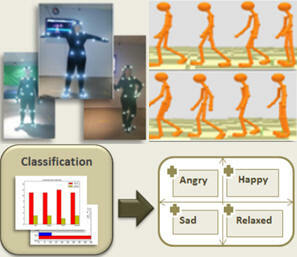 Gokcen Cimen, Tolga Capin, Hacer Ilhan, Hasmet Gurcay, Classification of Human Motion based on Affective State Descriptors, Computer Animation and Virtual Worlds, Wiley (in press). Can Telkenaroğlu, Tolga Çapın, Dual-Finger 3D Interaction Techniques for Mobile Devices, Journal of Personal and Ubiquitous Computing, Springer, (in press). Sami Arpa, Abdullah Bülbül, Tolga Çapın, Bülent Özgüç, Perceptual 3D Rendering based on Principles of Analytical Cubism, Computers and Graphics Journal, Elsevier, (to appear). Cansın Yıldız, Tolga Çapın, Paper and Pen: a 3D Sketching System, Proceedings of ISCIS 2012, Paris, France. Gökçen Çimen, Abdullah Bülbül, Bülent Özgüç, Tolga Çapın, Perceptual Caricaturization of 3D Models, Proceedings of ISCIS 2012, Paris, France. Atanas Gotchev, Gozde Bozdagi Akar, Tolga Capin, Dominik Strohmeier, Atanas Boev, Three-Dimensional Media for Mobile Devices, Journal of Proceedings of the IEEE, IEEE Press, 99(4), 708-741 (2011). DOI:10.1109/JPROC.2010.2103290. Cihan Halit, Tolga Çapın, Multiscale Motion Saliency For Keyframe Extraction From Motion Capture Sequences, Computer Animation and Virtual Worlds, Wiley, 22(1), 3-14 (2011). DOI:10.1002/cav.380. Sami Arpa, Abdullah Bülbül, Tolga Çapın, A Decision Theoretic Approach to Motion Saliency in Computer Animations, Springer Lecture Notes in Computer Science Book Series, Special Issue of Motion in Games 2011 Conference (to appear) (Book Chapter). Abdullah Bülbül, Zeynep Çipiloğlu, Tolga Çapın, A Perceptual Approach for Stereoscopic Rendering Optimization, Computers and Graphics Journal, Elsevier, Vol. 34, No. 2, pp 145-157, April 2010, doi:10.1016/j.cag.2009.11.004. Zeynep Çipiloğlu, Abdullah Bülbül, Tolga Çapın, A Framework for Enhancing Depth Perception in Computer Graphics, Proceedings of the ACM Symposium on Applied Perception in Graphics and Visualization, APGV 2010, Los Angeles, CA, USA, ACM Press, July 2010. Abdullah Bülbül, Çetin Koca, Tolga Çapın, Uğur Güdükbay, Saliency for Animated Meshes with Material Properties, Proceedings of the ACM Symposium on Applied Perception in Graphics and Visualization, APGV 2010, Los Angeles, CA, USA, ACM Press, July 2010. Duygu Ceylan, Tolga Çapın, A Multi-Touch Interface for 3D Mesh Animation, Proceedings of Computer Animation and Social Agents Conference, CASA 2010, Saint Malo, France, June 2010. M. Adil Yalcin, Tolga K. Çapın, Editing Heightfield Using History Management and 3D Widgets, ISCIS 2009, IEEE Xplore, September 2009, doi:10.1109/ISCIS.2009.5291853. Tolga Çapın, Bertan Gundogdu, Jukka Hakkinen, Karsten Mueller, Philipp Merkle, Attila Barsi, Carlos Encabo Corrales, Pablo Enfedaque Vidal, Dan Gardenfors, 3DPHONE - All 3D Imaging Phone: Problems, Solutions, Results, NEM Summit 2009, September 2009. R. Aras, B. Başarankut, T. Çapın, B. Özgüç, 3D Hair Sketching for Real Time Dynamic & Key Frame Animations, The Visual Computer Journal, Springer, 24 (7-9), 577-585 (2008). DOI:10.1007/s00371-008-0238-8. T. Çapın, K. Pulli, ve T. Akenine-Möller, State of the Art in Mobile Graphics Research, IEEE Computer Graphics and Applications, IEEE Press, 28(4), 74-84 (2008). DOI: 10.1109/MCG.2008.83. Eren Algan, Mustafa Kabak, Bulent Ozguc, Tolga Çapın, Simulation of Water Drops on a Surface, 3DTV Conference, IEEE Xplore, May 2008. Tolga Çapın, Antonio Haro, Mobile Camera Based User Interaction, in Handbook of Research on User Interface Design and Evaluation for Mobile Technology, Idea Group, 2007 (Book Chapter). Eyuphan Bulut, Tolga Çapın, Key Frame Extraction from Motion Capture Data by Curve Saliency, CASA 2007 – Computer Animation and Social Agents, June 2007. Melih Kandemir, Tolga Çapın, Bulent Ozguc, A Framework for Real-Time Animation of Liquid-Rigid Body Interaction, Computer Graphics International (CGI 2007), May 2007. Aravind Kalaiah, Tolga Çapın, Unified Rendering Pipeline for Autostereoscopic Displays, 3DTV 2007, May 2007. Tolga Çapın, Antonio Haro, Vidya Setlur, and Stephen Wilkinson, Camera-Based Virtual Environment Interaction on Mobile Devices, Springer Lecture Notes in Computer Science, October 2006 (Book Chapter). Vidya Setlur, Tolga Çapın, Suresh Chitturi, Ramakrishna Vedantham, Michael Ingrassia, MORE: A Mobile Open Rich Media Environment, IEEE ICME 2006 Conference, July 2006. Aravind Kalaiah, Tolga Çapın, Unified Rendering Pipeline for Autostereoscopic Displays, Pacific Graphics 2006 Conference, October 2006. Antonio Haro, Koichi Mori, Tolga Çapın, Stephen Wilkinson. Mobile Camera-Based User Interaction, IEEE ICCV 2005 Workshop on HCI, October 2005, Springer Lecture Notes in Computer Science, pp 79-89 (Journal Article). Antonio Haro, Vidya Setlur, Tolga Çapın, Stephen Wilkinson. Mobile Camera Based Adaptive Viewing, International Conference on Mobile and Ubiquitious Media, December 2005. Tolga Çapın, Suresh Chitturi, JSR-226: A Versatile API for Mobile SVG on J2ME, ACM SIGGRAPH 2005, Web Graphics Track. Stéphane Garchery, Ronan Boulic, Tolga Çapın, Prem Kalra, Standards for Virtual Humans, in Virtual Human Handbook, John Wiley and Sons, 2004 (Book Chapter). Çapın, Tolga, Vincent Hardy, JSR-226: Scalable 2D Graphics API for the J2ME Platform, JavaOne 2004. Çapın, Tolga, SVG in 3GPP Multimedia Messaging and Streaming Services, SVG Open 2003. T. Çapın, E. Jang, J. Ostermann, Synthetic Natural Hybrid Coding in MPEG-4, in The MPEG-4 Book, Prentice Hall, 2002 (Book Chapter). Pandzic, C. Babski, T. Çapın, W.S. Lee, N. Magnenat-Thalmann, S. R. Musse, L. Moccozet, H. Seo, D. Thalmann, Simulating Virtual Humans in Networked Virtual Environments, The Presence Journal, MIT Press, 2001 (Journal Article). Çapın, T., K., Petajan, E., and Ostermann, J., Very Low Bitrate coding of virtual human animation in MPEG-4, IEEE ICME 2000 – International Conference on Multimedia and Expo (ICME), New York, NY, volume: 2, 2000. Çapın T. K., Petajan, E., and Ostermann, J., Efficient Modeling of Virtual Humans in MPEG-4, IEEE ICME 2000 – International Conference on Multimedia and Expo (ICME), New York, NY, July 2000. T.K. Çapın, J. Esmerado, D. Thalmann, Dead-reckoning algorithms for streaming virtual human data, IEEE Transactions on Circuits and Systems for Video Technology, IEEE Press, Vol.9, No3, 1999, pp. 411-414 (Journal Article). A. Guye-Vuillieme, T.K.Çapın, I.S.Pandzic, N.Magnenat Thalmann, D.Thalmann, Non-verbal Communication Interface for Collaborative Virtual Environments , The Virtual Reality Journal, Springer, Vol. 4, pp.49-59, 1999 (Journal Article). T. Molet, A. Aubel, T. Çapın, S. Carion, E. Lee, N. Magnenat Thalmann, H. Noser, I. Pandzic, G. Sannier, D. Thalmann, Anyone for Tennis? The Presence Journal, MIT Press, 1999, Vol.8, No2, 1999, pp.140-156 (Journal Article). T.K. Çapın, D. Thalmann, A Taxonomy of Networked Virtual Environments, Proc. IWSNHC3DI'99, Santorini, Greece. T.K.Çapın, I.S.Pandzic, N.Magnenat Thalmann, D.Thalmann, Realistic Avatars and Autonomous Virtual Humans in VLNET, in Virtual Worlds in the Internet (R.Earnshaw and J. Vince, eds), IEEE Computer Society Press, 1998 (Book Chapter). T.K. Çapın, M. J Jovovic, J. Esmerado, A. Aubel, D. Thalmann, Efficient Network Transmission of Virtual Human Bodies, Proc. IEEE Computer Animation '98, Philadelphia, IEEE Computer Society Press, 1998, pp.41-48. T.K.Çapın, I.S.Pandzic, N.Magnenat Thalmann, D.Thalmann, Integration of Avatars and Autonomous Virtual Humans in: Networked Virtual Environments, Proc. ISCIS 98, IOS Press, 1998. A. Guye-Vuilleme, Tolga Çapın, Igor Pandzic, Nadia Magnenat Thalmann, Daniel Thalmann, Non-Verbal Communication Interface for Collaborative Virtual Environments , Proc. CVE 98, Manchester, June 1998. I.S. Pandzic, T.S. Çapın, E. Lee, N. Magnenat-Thalmann, D. Thalmann, Autonomous Actors in Networked Collaborative Virtual Environments, Proc. MultiMediaModeling '98, IEEE Computer Society Press, 1998, pp.138-145. T.K.Çapın, I.S.Pandzic, H.Noser, N.Magnenat Thalmann, D.Thalmann, Virtual Human Representation and Communication in VLNET, IEEE Computer Graphics and Applications, Vol. 17, No 2, 1997, pp.42-53 (Journal Article). P. Doenges, T.K. Çapın., F. Lavagetto, J. Ostermann, I.S. Pandzic, E. Petajan, MPEG-4: Audio/Video and Synthetic Graphics/Audio for Real-Time, Interactive Media Delivery, Image Communications Journal, Vol. 5, No. 4, May 1997, pp.433-463 (Journal Article). I.Pandzic, T.Çapın, E.Lee, N.Magnenat Thalmann, D.Thalmann, A Flexible Architecture for Virtual Humans in Networked Collaborative Virtual Environments, Computer Graphics Forum, pp.177-188, 1997 (Journal Article). I. Pandzic, N. Magnenat Thalmann, T. Çapın, D.Thalmann, Virtual Life Network: A Body-Centered Networked Virtual Environment, The Presence Journal, The MIT Press, Vol. 6, No 6, pp. 676-686, 1997 (Journal Article). T.K.Çapın, I.S.Pandzic, N.Magnenat Thalmann, D.Thalmann, A Dead-Reckoning Algorithm for Virtual Human Figures, Proc. IEEE Virtual Reality Annual International Symposium 1997, pp.161-169. I.Pandzic, T.Çapın, E.Lee, N.Magnenat Thalmann, D.Thalmann, A Flexible Architecture for Virtual Humans in Networked Collaborative Virtual Environments, Proc. Eurographics '97, Computer Graphics Forum, pp.177-188 (Journal Article). I.Pandzic, T. Çapın, N. Magnenat Thalmann, D. Thalmann, A Versatile Navigation Interface for Virtual Humans in Collaborative Virtual Environnements, Proc. ACM VRST '97, ACM Press, 1997, pp.45-49. I.Pandzic, T.Çapın, E.Lee, N.Magnenat Thalmann, D.Thalmann, MPEG-4 for Networked Collaborative Virtual Environments, Proc. VSMM'97, Geneva, IEEE Computer Society Press, 1997, pp.19-25. Aykanat, C; Çapın, TK; Özgüç, B., A parallel progressive radiosity algorithm based on patch data circulation, Computers and Graphics, 20 (2): 307-324 MAR-APR 1996 (Journal Article). I.Pandzic, T. Çapın, N. Magnenat Thalmann, D. Thalmann, Motor functions in the VLNET Body-Centered Networked Virtual Environment , Proc. 3rd Eurographics workshop on Virtual Environments, Monte Carlo, February 1996, Virtual Environments and Scientific Visualization '96, Springer,Wien, 94-103 (Book Chapter). R. Boulic, T. Çapın, Z. Huang, L. Moccozet, T. Molet, P. Kalra, B. Lintermann, N. Magnenat-Thalmann, I. Pandzic, K. Saar, A. Schmitt, J. Shen, D. Thalmann, The HUMANOID Environment for Interactive Animation of Multiple Deformable Human Characters, Computer Graphics Forum, Maastricht, August 1995, pp.337-348 (Journal Article). Çapın T.K., Pandzic I.S., Magnenat-Thalmann N., Thalmann, D., Virtual Humans for Representing Participants in Immersive Virtual Environments, Proceedings of FIVE '95, London, 1995. A. Haro, V. Setlur, T. Çapın, G. Chen, Apparatus, method and computer program product for generating a thumbnail representation of a video sequence, US Patent 8,032,840. (filed Jan. 2006, granted October 2011). T. Çapın, S. Balcisoy, Method And Apparatus For Extending Structured Content To Support Streaming, US Patent 7,064,760 (filed 2003, granted June 2006). L. Öktem, T. Çapın, Apparatus, And Associated Method, For Communicating Content In A Bandwidth-Constrained Communication System, US Patent 6,624,769. (filed Dec. 2001, granted Sept. 2003). V. Setlur, M. Ingrassia, T. Çapın, S. Chitturi, System and method for measuring SVG document similarity. US Patent 7,403,951. (filed Oct. 2005, granted July 2008). V. Setlur, D. Zhong, M. Hannuksela, T. Çapın, System and Method for Providing Feedback and Forward Transmission for Remote Interaction in Rich Media Applications. Korean Patent 0984694 (filed 2005, granted September 2010). 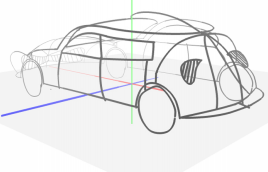 A. Kalaiah, T. Çapın, Apparatus, Method, and a Computer Program Product for Providing a Unified Graphics Pipeline for Stereoscopic Rendering, (PCT patent pending, filed 2006). K. Mori, T. Çapın, Y. Fei, System, Device, Method, and Computer Program Product for Annotating Media Files, (PCT patent pending, filed 2006). V. Setlur, D. Zhong, M. Hannuksela, S. Chitturi, T. Çapın, A Method To Embed SVG Content Into ISO Base Media File Format For Progressive Download And Streaming Of Rich Media Content. (PCT patent pending, filed 2005). V. Setlur, D. Zhong, M. Hannuksela, S. Chitturi, T. Çapın, Transport Mechanisms for Dynamic Rich Media Scenes. (patent pending, filed 2005). M. Ingrassia, S. Chitturi, A. Haro, T. Çapın, Method For Automatically Obtaining Custom Application Icons When Changing UI Themes By Querying A Remote Icon Repository (PCT patent pending, filed 2004). 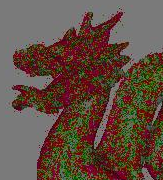 M. Ingrassia, T. Çapın, S. Chitturi, A. Haro, Multidimensional Tabbing for Mobile Devices, (PCT patent pending, filed 2004). S. Balcisoy, M. Karczewicz, T. Çapın, Progressive Downloading Of Timed Multimedia Content, (PCT patent pending, filed 2004).